In 2014 Australia’s premiere taiko ensemble Taikoz and South Indian Classical dance company Lingalayam presented an 80-minute dance theatre work called Chi Udaka at the Sydney Festival. Their TEDxSydney performance is a snapshot of that work. Entitled Of The Fields, this scene is set on the afternoon of a hot summer’s day. The music and choreography partners – and sometimes pits – dancer against drummer in a display of furiously fleet, fancy foot and stick work. 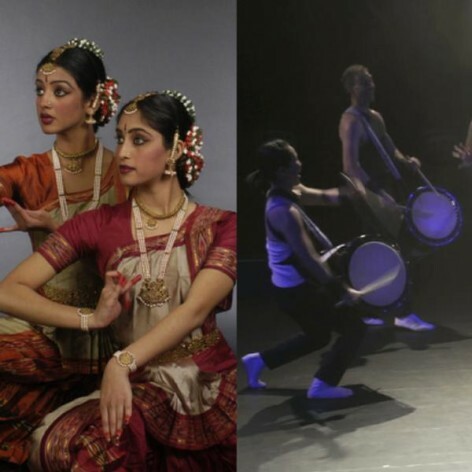 At turns delicate and dramatic, Of The Fields connects the dynamism of Taikoz’ taiko with Lingalayam’s blend of Bharatha Natyam and Kuchipudi dance forms.